The Punjab and Haryana High Court has issued 25 “mandatory” directions, including registering cases against drug smugglers under the PML Act and deployment of police officials around educational institutions, to the state government for eradicating the drug menace. The directions were issued by Justices Rajiv Sharma and Harinder Singh Sidhu on Tuesday following appeals filed by Baljinder Singh and Khushi Ram against a Patiala Court order in which they were convicted under the NDPS Act and sentenced to 12 year-imprisonment in 2011. Setting aside the order of lower court, the high court acquitted both the petitioners. The bench noted that the drug abuse was a very serious issue. “The drug abuse has broken the social fabric and has destroyed number of families. The main concern of the court is that charas, heroin and artificial drugs should not be available in the state at all,” the court observed. “It is intriguing to note that the students — boys and girls — are getting the prohibited drugs but the police is not in a position to catch hold of kingpins and peddlers,” it noted. In the “mandatory” directions issued to eradicate the drug menace in Punjab, the bench asked the state government to launch special awareness drives to make the people aware of the ill-effects of drugs. The Punjab DGP was directed to revamp, restructure strengthen the Special Task Force, the court said in its order. It further directed the DGP to register cases against the kingpins under the Prevention of Money Laundering (PML) Act, 2002 at the time of lodging the FIR under the NDPS Act and Opium Act. The court directed the state government to ensure deployment of police officials in plain clothes from 8 am to 6 pm around all the educational institutions to nab the drug peddlers and kingpins. “Police officers shall ensure that no minor is served any drug, alcoholic beverages in any medical shops, bars, restaurants,” the order stated. The state government through the Secretary, Education was directed to include a mandatory and comprehensive chapter on drug abuse and illicit trafficking and its socio-economic cost to self, society and the country in the syllabus for class 11 and 12 students. All the educational institutions in the state have been directed to constitute anti-drug clubs to promote a drug-free life. 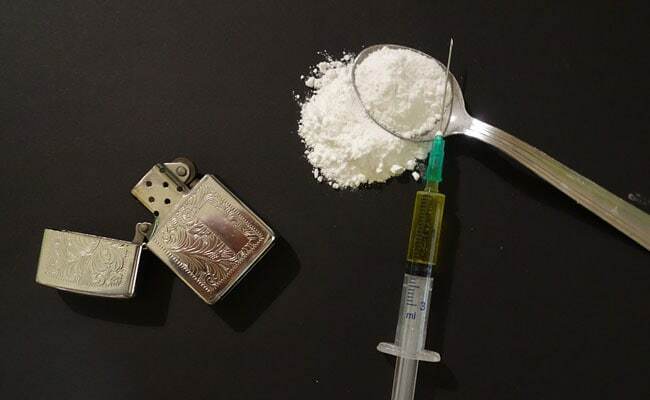 “Since the drug menace has attained alarming proportion, the state government is directed to establish rehabilitation centres in each district of the state within a period of six months,” the order stated. The drugs inspector while raiding the factories, industries, medical shops shall be accompanied by a person not below the rank of the assistant commissioner of police, including the gazetted officer from the Food and Supplies Department, it said. The court also directed the state government to develop special, mobile, anti-peddling squads of police with jurisdiction of all over the cities and adjoining areas.